Last Thursday, October 29, World Brain stroke Injury Day was celebrated, an illness that is increasingly common in our society. It is what is known as stroke or cerebral infarction. This disorder usually causes more deaths in women than in men, in particular, they are 60%, compared to 40% of men. Rapid intervention after the outbreak is essential so that there are no sequelae. To prevent strokes experts advise to stop smoking, take a balanced and healthy diet, limit the maximum consumption of alcohol, exercise, have a healthy weight and end stress. 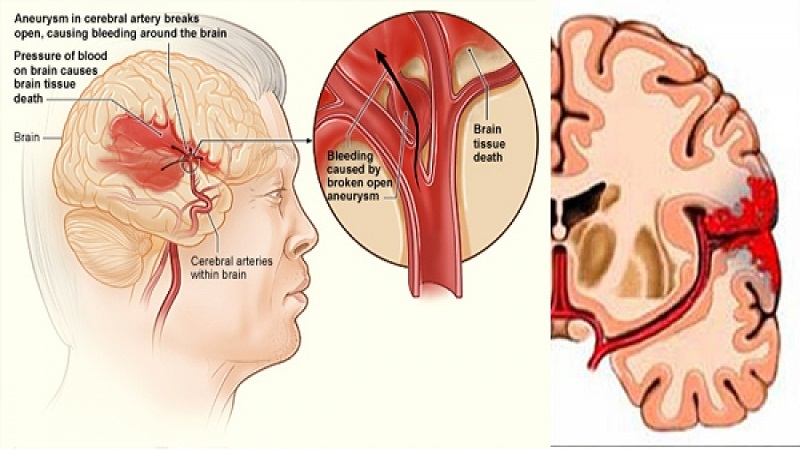 They are the essential pillars to prevent stroke. These measures that we just mentioned can also be applied to heart disease. The Professor of Clinical Cardiology at the Cardiovascular Science Research Institute at the British University of St George and spokesperson for the European Society of Cardiology, A. John Camm, says that women have more risk factors for stroke than men. mums. Apparently, those with irregular heartbeats are more likely to suffer from diabetes, obesity, high blood pressure and diabetes, thus increasing the chances of having a stroke. Professor Camm also points out that the risk of stroke increases with contraceptive pills, hormonal changes in menopause and diabetes linked to pregnancy. Read more: How much water should I drink to be healthy? When does the stroke occur? Stroke death or disability can be stopped only if action is taken urgently. There are certain symptoms that invite you to think about a stroke. Just look at the face, if it shows a fall to the side; in the arms, if they can be lifted normally; and in speech, if the affected person is able to maintain a conversation or in his speech he articulates badly and talks nonsense. In case of a possible stroke, you must act as quickly as possible and contact the emergency services. Professor Camm says that ” stroke is a devastating disease “, but about half of the episodes of stroke that occur could be prevented. It is enough to lead a healthier lifestyle, where balanced diet and physical exercise occupy a preferential place. When you notice any of the symptoms listed above you have to put yourself in the hands of a doctor. Previous post: How many kilos can lose weight in a week ?